Arkansas-born' Spoon made his recording debut with the great swing band of Jay McShann in the mid 1940s, shortly after his demob from the Merchant Marine, and had an early hit with the oldie "Ain't Nobody's Business" on Supreme. In recent years he has successfully embraced the rock 'n' roll style with rip-roaring platters for Checker, Atco and RCA Victor, as featured here. 180 gram LP. 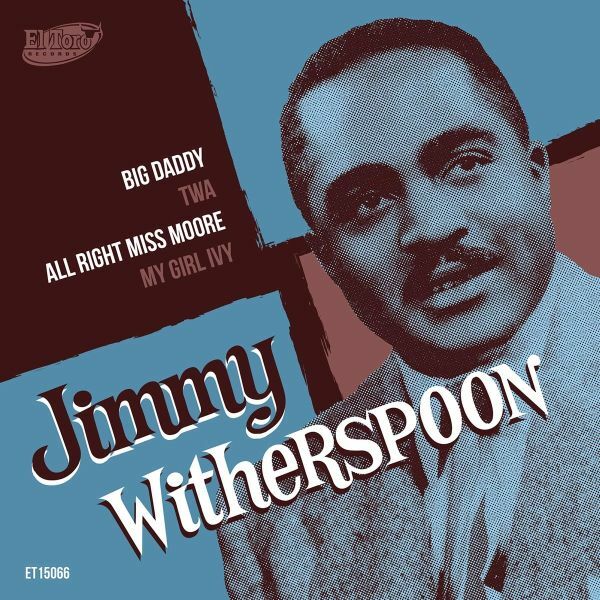 One of the great blues singers of the post-war period, Arkansas native, Jimmy Witherspoon (1920-1977) had a slew of hits around 1950, with the most famous being a version of Bessie Smiths "Aint Nobodys Business If I Do". By the mid-fifties, however, Witherspoons career had begun to languish, as the "jump blues" style began to go out of fashion. However, Witherspoons appearance at the 1959 Monterey Jazz Festival restarted his career and exposed him to a new generation of record-buying fans. Feelin the Spirit, released in 1959, hoped to capitalize on Witherspoons newfound popularity (particularly with white audiences) by bringing traditional African-American Spirituals into the national arena. While songs like "Deep River" and "Every Time I Feel the Spirit" would have been well-known to any African American church-goer at the time, they were not known among white audiences. Interestingly, Witherspoon chose the popular "Randy Van Horne Singers" (who famously provided the theme songs to the Flintstones and the Jetsons cartoons) to sing backing vocals here.